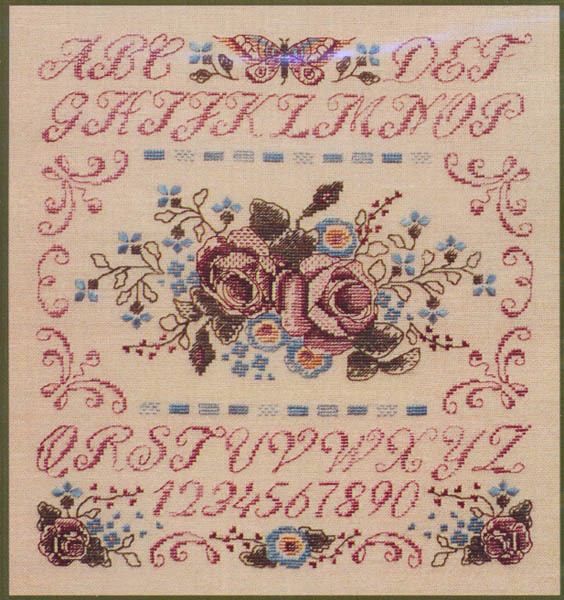 Delicate alphabet sampler with roses and butterfly. Count: 150 x 168. Model stitched on Light Sand Belfast Linen with silks from Diny-Dyes. DMC color chart also provided.